Oil seems to be in limbo at the moment, with investors jostling for position before the OPEC meeting. Will they reduce output or won't they? The energy sector certainly seems to be hotly anticipating the answer to that question. Questions remain over gold as spread trading investors look to digest multiple underlying issues including the strong dollar, low inflation, and prospective interest rate hikes. However, the Christmas period may see a rise in bullion purchasing and the bulls will be looking to push the market past $1,200, a potentially important level. There was not a great deal of movement for US crude yesterday as it held its ground from the close of play on Tuesday, settling at $74.58. Even this could be considered a win, however, given that US crude stockpiles surprisingly increased by 2.6 million barrels, against expectations for a 660,000 barrel reduction. The gold market gave back most of the gains made on Tuesday after the minutes from the latest Fed meeting. Gold, which is often seen as a hedge against inflation, resumed its fall on growing concern that inflation expectations are sliding. And with Yellen holding strong on interest rate rises, investors aren't dipping into their pockets just yet. WTI futures dropped by 0.6% overnight amidst ongoing doubt that OPEC will reduce its output targets. Analysts have speculated that if demand remains at such a low level and OPEC does not intervene by cutting production, we could see a further $10 reduction in price. Gold closed more than $16 higher on Tuesday, as buyers saw an opportunity for a bargain. Russia was the lead investor yesterday, considerably adding to their reserves. This could denote an increase in demand for physical bullion and jewellery, which might help curb the huge losses seen this year. Pressure is mounting on WTI as the same oversupply story continues to repeat itself. However, the issue which is dividing traders at the moment is whether OPEC will cut its supply targets at its next meeting to combat falling prices. Some believe that they will have to because of the loss of revenue, whereas others feel that it wouldn't be in their best interest to cut supply as they chase market share. With central banks promoting growth and strengthening the dollar, gold is still up against the wall. However, the metal has managed to remain fairly strong following its rally at the back end of last week. US crude oil followed its recent trend by dropping 0.7% overnight. Investors are solely focused on OPECs meeting next week, however, with little indication of a production cut, oil is back on its slippery slope to the downside. 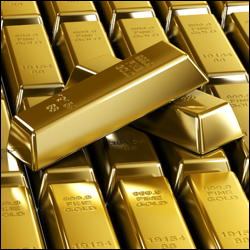 The gold market has finally shown some positive signs as it holds near a two week high. Many traders still have doubts over the long-term price of gold, given the outlook of the dollar. However, with the end of year in mind, there seems to have been a reduction in short covering, implying some optimistic sentiment for the metal.